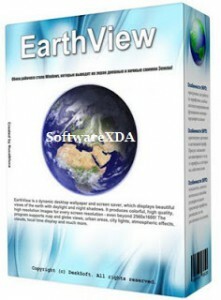 DeskSoft EarthView is a dynamic desktop wallpaper and screen saver, which displays beautiful views of the earth with daylight and night shadows. It produces high quality images for every screen resolution – even beyond 2560×1600! The program supports map and globe views, urban areas, city lights, atmospheric effects, clouds, weather information and much more.